Cupcakes are made for Instagram. Fluffy frosting and colorful cake go perfectly with a social app full of hungry people. All you have to do to grow a small following is make great-looking cupcakes. But how do you get your cupcake shop more Instagram followers once all your friends and family have followed? For top brands, the average Instagram engagement rate in 2015 was more than 10 times higher than Facebook’s. That’s significant. 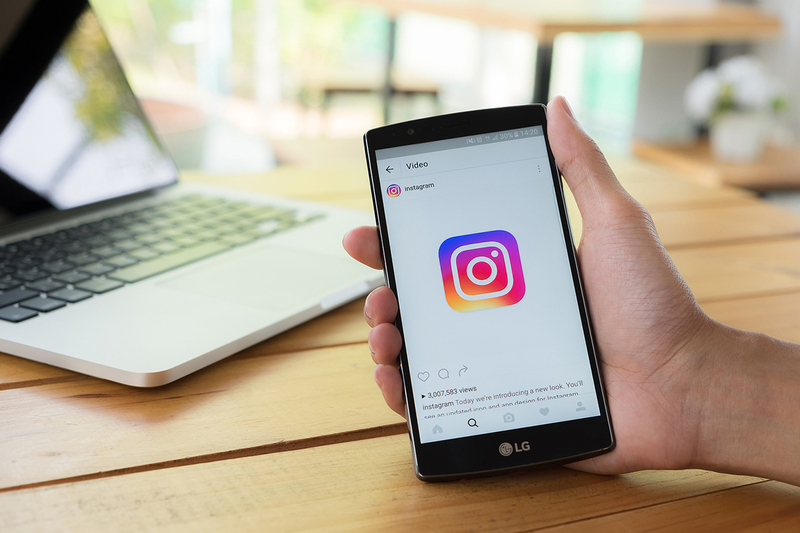 It’s fallen since 2014, but it’s still worth your effort to get your cupcake shop more Instagram followers as you work to draw more eyes – and customers. Your next step is to figure out how to do that. Take a look at these 6 attention-grabbing ways to gain more followers and increase engagement. You have a #jennyscupcakes hashtag for your shop. But do your customers know to use it when they share pics of their scrumptious afternoon indulgence on Instagram? Put your hashtag in your profile, on your ads, in the store window, on in-store signage, and even on the receipts. If you’re not telling customers about your hashtag, they’ll only use it by chance. Make sure they can use it on purpose. Sometimes a picture can stand on its own. But customers love stories. National Geographic’s Instagram feed is a prime example of how pairing incredible images with storytelling can create huge impact. Their engagement and sharing are through the roof. Now, you’re not a world-wide sensation like NatGeo. But locally, you can stand out. Tell the story of how you came up with a particular cupcake recipe. Give a snapshot of what your team did this morning. Create a cupcake for a special sale with proceeds benefitting a local charity. And, when you post the image, write about what the charity means to you. Find your voice, and talk to your followers – not at them. Customers will probably post pictures of your cupcakes on Instagram. And, if they’re engaged, they’ll tag you. But some photos are cringe-worthy. And you may get flamed every so often by a dissatisfied customer. As an alternative, you can change your settings so photos you’re tagged in won’t show on your profile until you approve them. Just follow the same process as above, but choose “Tagging Options” instead of “Hide Photos.” Then select “Add Manually” and you’ll be all set. Most of us want to fit in with the crowd. It’s just human nature. But Instagram is for standing out. Find your own unique visual style – and stick with it. Your followers will sit up and take notice when your posts hit their feeds. And you’ll increase your ability to gain more followers. Since your cupcake shop is a local business, keep your focus on your area. Use hashtags that are gaining attention among local Instagram users. You can easily keep track of what’s going on in your neighborhood by searching Places for the name of your location. So tell them to do it! It’s easy (and common) to write a generic image caption. Instead, write each caption as though people need to be told what to do. Instead of, “We love these cupcakes,” write “We love these cupcakes – and you will too! Come on in and #treatyourself today.” Make it sound fun, and most people won’t notice you’re selling to them. The worst that can happen is that you’ll lose the few followers who never would have come in to your shop in the first place. The rest of them will probably want a cupcake. In fact, now we want a cupcake (or two). Get enough Instagram followers, and you’ll see demand like never before! To keep up with the crowd, you may want to invest in a time-saving, work-reducing helper like the EZFrost machine. It’ll help you frost faster – and let you turn even new employees into expert frosters.